The Pearl of the Orient is rich in culture, heritage and consists of the best of both the old and the new world. Whether you’re a history buff, architecture lover, gastronomical gourmand or culture enthusiast, Penang has much to offer you during your stay at Lexis Suites Penang. To ensure that you won’t have to worry about missing any of the best visits of the island, we have compiled them here especially for you! Here’s a list of the best places of interest that you should not miss when you’re in Penang, and please do not hesitate to speak to our Concierge team for more information or for travel arrangements. 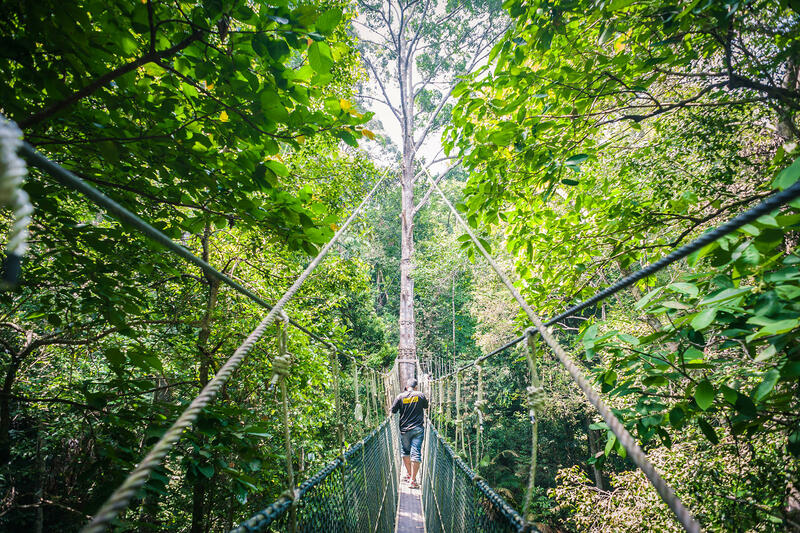 Situated approximately 30 kilometres away from Lexis Suites Penang, the Penang National Park (also locally known as Taman Negara Penang or Taman Negara Pulau Pinang) is believed to be the smallest national park in the world. 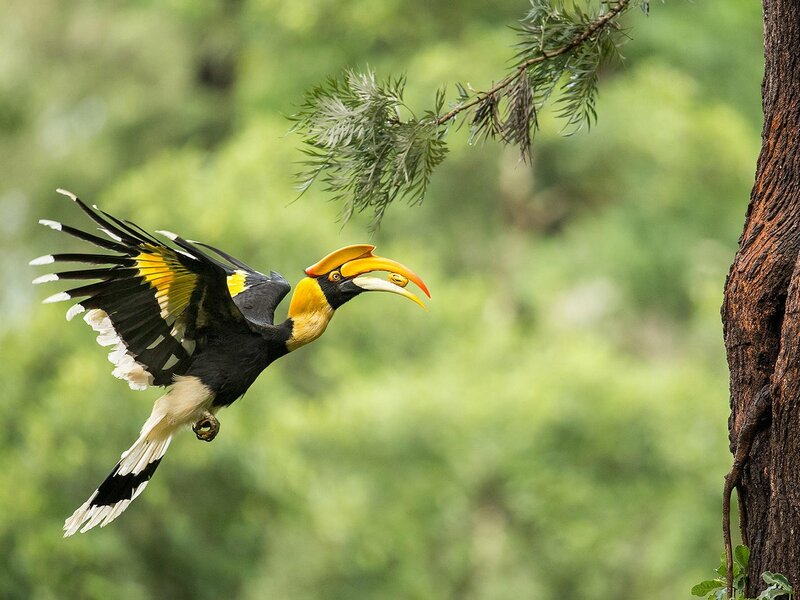 Home to a rich natural heritage comprising more than 1,000 species of flora and 271 species of wildlife, it is used by scientists, researchers and nature lovers who are interested in exploring its natural treasures. If there is one edifice that stands out among all buildings in George Town, it is definitely the Cheong Fatt Tze mansion. At a glance, one could easily tell that the structure has been around for ages. 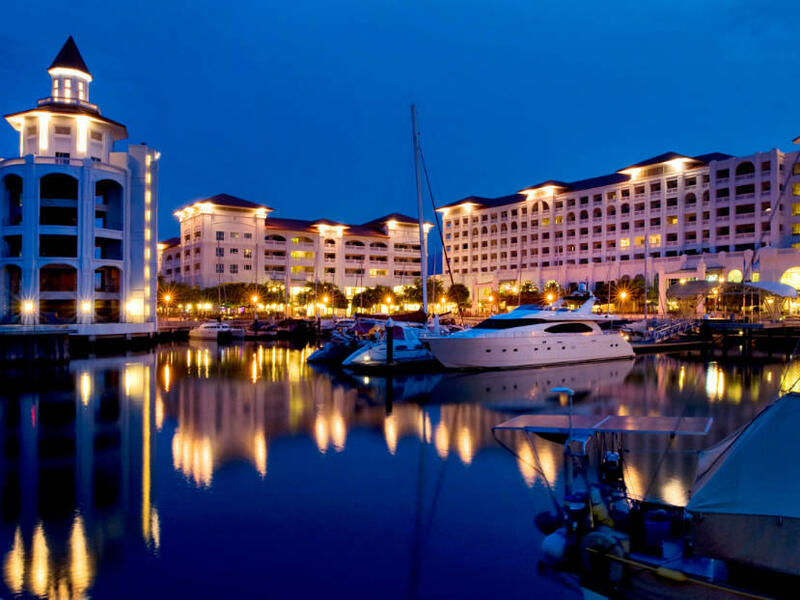 Chew Jetty Penang is located at Weld Quay, George Town, Penang and is 21 kilometres away from Lexis Suites Penang. It is the biggest of the waterfront settlements in Georgetown and was part of the Clan Jetties Penang settling at the southern section of Weld Quay. The wooden piers built by the Chinese were divided between the different surname-based clans such as “Lim”, “Tan”, “Lee”, “Yeoh” and finally “Chew”, which was the most famous of all. Chew Jetty has also become one of the focal points of the Chinese New Year celebrations in Penang in recent years. 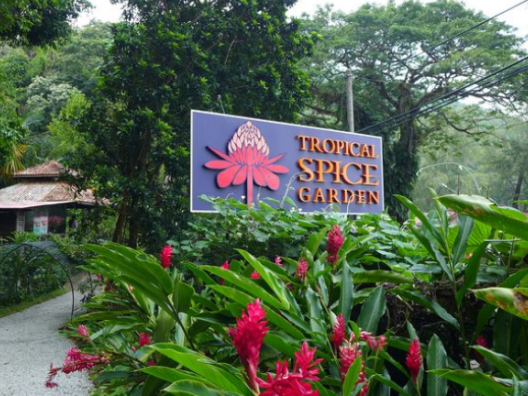 Located in an eight-acre valley fronting the shores of Teluk Bahang, George Town, Penang, the Tropical Spice Garden Penang is approximately 31 kilometres away from Lexis Suites Penang. The Tropical Spice Garden Penang is considered one of the prime tourist attractions in Penang and is in fact, Southeast Asia’s only tropical spice garden. 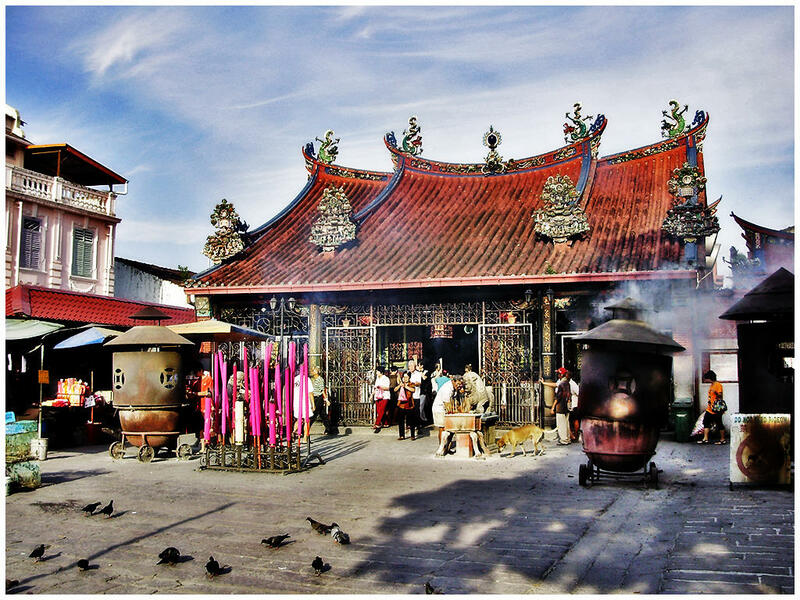 The Kek Lok Si temple is a Buddhist temple situated at Air Itam, Penang and approximately 20 kilometres away from Lexis Suites Penang. This magnificent temple faces the sea and commands an impressive oceanic view, it is one of the largest and most spectacular Buddhist temples in Southeast Asia. 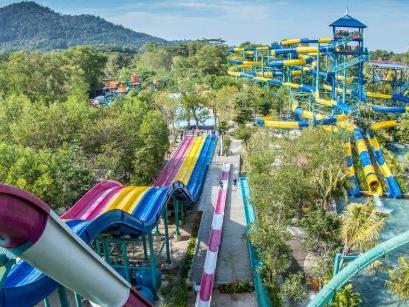 Situated approximately 28 kilometres away from Lexis Suites Penang, the Escape Park Penang or also known as the Escape Theme Park Penang, the Penang Adventure Park or the Escape Adventureplay Penang by locals and tourists, is a family theme park with exciting and challenging activities. The Escape Park Penang was founded by Mr Sim Choo Kheng, Chief Executive of Sim Leisure. 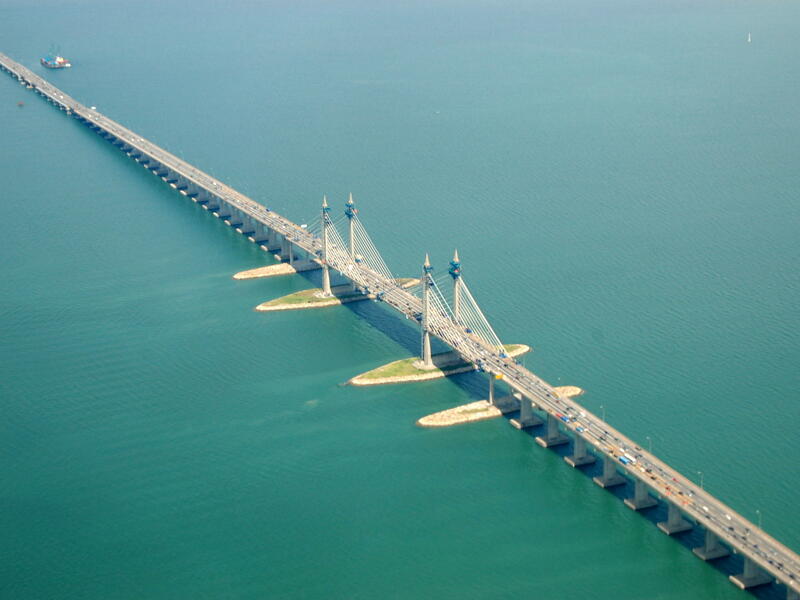 The Penang Bridge (E36) is synonymous with the popularity of the Pearl of the Orient itself. Known as one of the national landmarks of Malaysia, the Penang Bridge (also known as Jambatan Pulau Pinang by the locals) is a dual carriageway toll bridge that was the only road connection between the mainland and the Penang Island right up till the year 2014. Known as Penang’s first and only seafront retail marina, the Straits Quay Penang is located at Seri Tanjung Pinang, a newly developed township which is approximately 26.3 kilometres away from Lexis Suites Penang. Opened in 2010, the Straits Quay Penang (also known as Straits Quay Marina Mall) is a must-visit destination for tourists and locals alike. 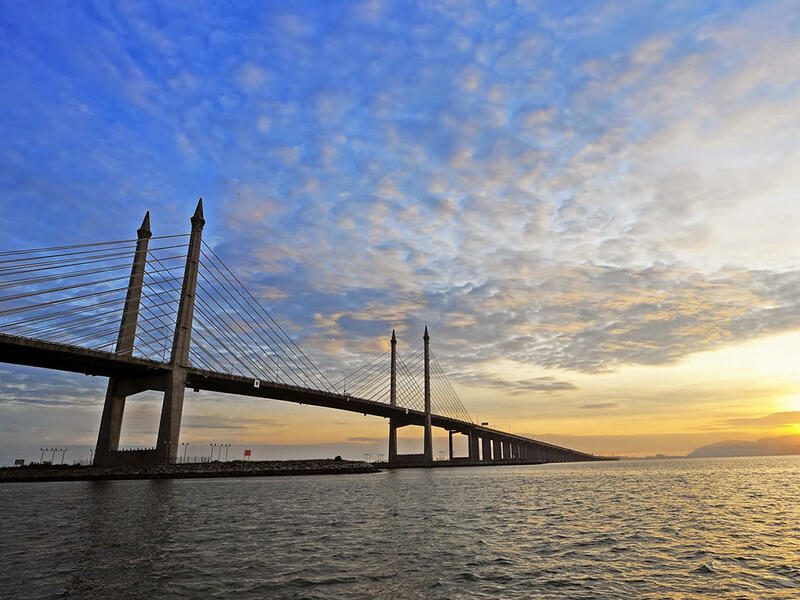 The Penang Second Bridge (E28, Sultan Abdul Halim Muadzam Shah Bridge) was completed in 2014. The idea to build a second bridge linking Seberang Perai to Penang Island was suggested by the fourth Prime Minister of Malaysia, Tun Dr. Mahathir Mohammad and the third Chief Minister of Penang, Tan Sri Dr Koh Tsu Koon in 1995. The Penang Second Bridge connects Bandar Cassia in Seberang Perai with Batu Maung on Penang Island. 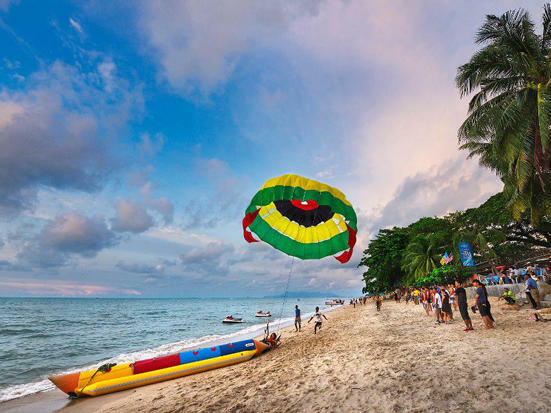 Situated 34 kilometres away from Lexis Suites Penang, Batu Ferringhi is a beach town located along the northern coast of Penang Island, Malaysia and it is one of the most popular town among the locals and foreigners alike. Just 51 minutes’ drive from Lexis Suites Penang, Penang Batu Ferringhi is also located near George Town, Penang’s most captivating and modern capital. 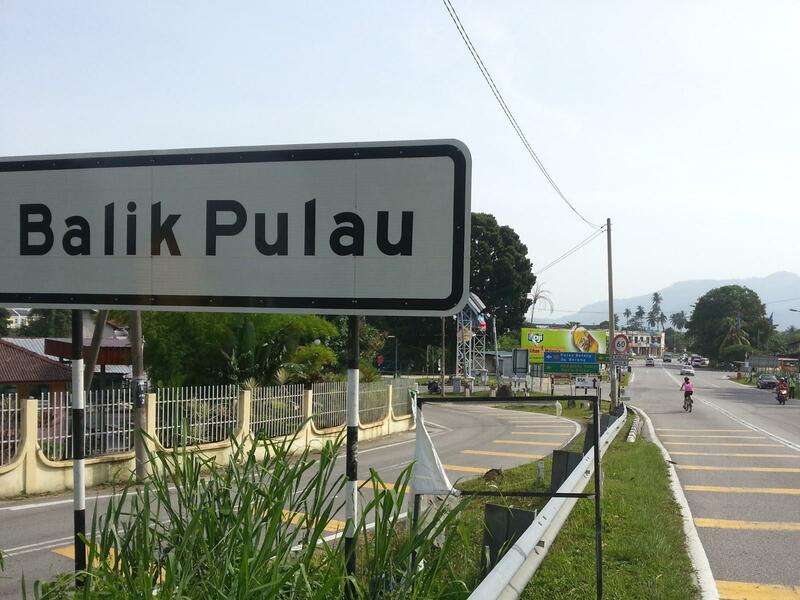 Looking for a peaceful and laid-back place to explore, you should head to Balik Pulau Malaysia. 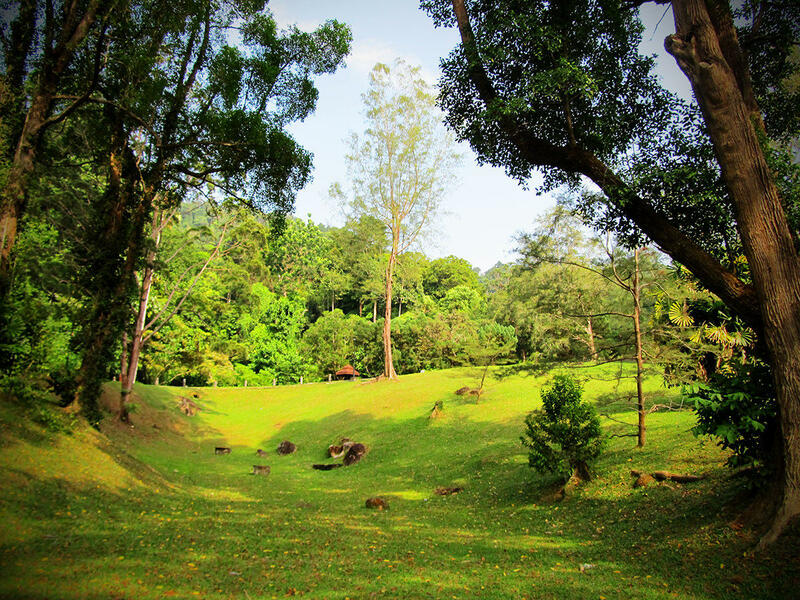 Most of the region is blanketed by rolling hills, picturesque paddy fields, and lush greenery. It's the perfect destination for adventurers who want to get closer to nature. It also happens that the place has some of the best-tasting durian fruits in the world. 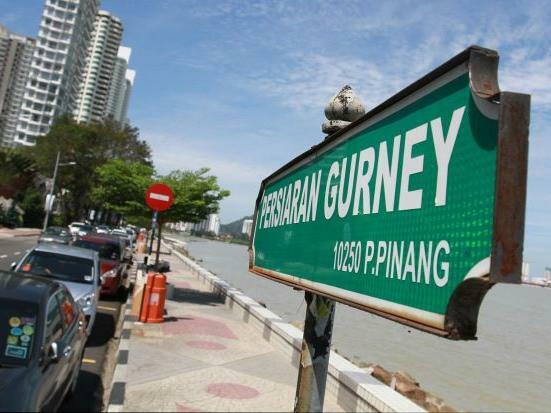 Located approximately 24 kilometres away from Lexis Suites Penang by car, Gurney Drive is one of the most popular destinations within George Town, Penang among tourist and locals alike. Also known as Persiaran Gurney or formerly known as ‘New Coast Road’, Gurney Drive Penang is famous for its hawker delights and exciting restaurants that come alive at night time. Opened in March 1986 and established by Mr David Goh, the original Penang Butterfly Farm was the first tropical butterfly exhibition in the world. 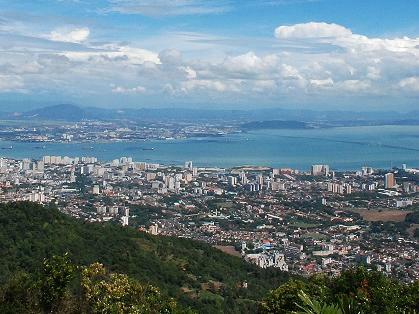 Situated in Teluk Bahang, Penang, it is approximately 44 minutes’ drive away from Lexis Suites Penang. 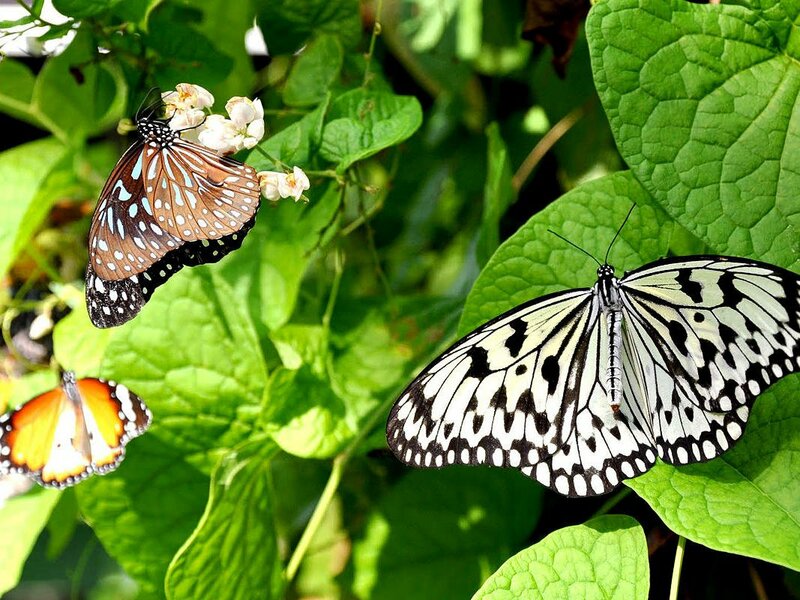 The present reincarnated Penang Butterfly Farm, opened to the public on May 2016, is known as Entopia by Penang Butterfly Farm and is helmed by Mr Joseph Goh, the son of Mr David Goh. Penang Hill (also known as Bukit Bendera by the locals) is a hill resort situated at Air Itam, Penang and it is the first colonial hill station in Peninsular Malaysia. Located about 28 kilometres away from Lexis Suites Penang, this hill is approximately 833m above Penang’s capital and it is generally about five degrees cooler than Georgetown. Located approximately 22 kilometres away from Lexis Suites Penang, the Kapitan Keling Mosque or also known as Masjid Kapitan Keling Pulau Pinang (Masjid Kapitan Keling Penang) by the locals, is a mosque built in the 19th century by the Indian Muslim traders from the East India Company in the 1700s. 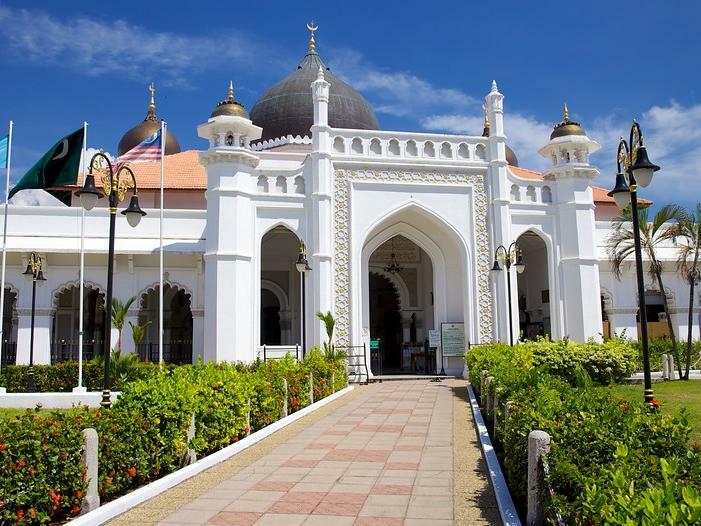 the Kapitan Keling Mosque was named after Cauder Mydin Merican also referred to as ‘Kapitan Keling’, the founder of the mosque and leader of the Indian community. The Snake Temple is located approximately 10 kilometres away from Lexis Suites Penang and is situated at Sungai Kluang, Bayan Lepas, Penang, Malaysia. The Snake Temple is considered as one of its kind in the world. Some of the snakes that reside in this Snake Temple are poisonous Wagler’s Pit Vipers (also known as Temple Pit Vipers or Ular kapak tokong). For safety precautions, the snakes have been de-venomed but their fangs are still intact. Masjid Melayu Lebuh Acheh, also famously known as Acheen Street Mosque Penang or Acheen Street Malay Mosque is a 19th century mosque located approximately 22 kilometres away from Lexis Suites Penang. 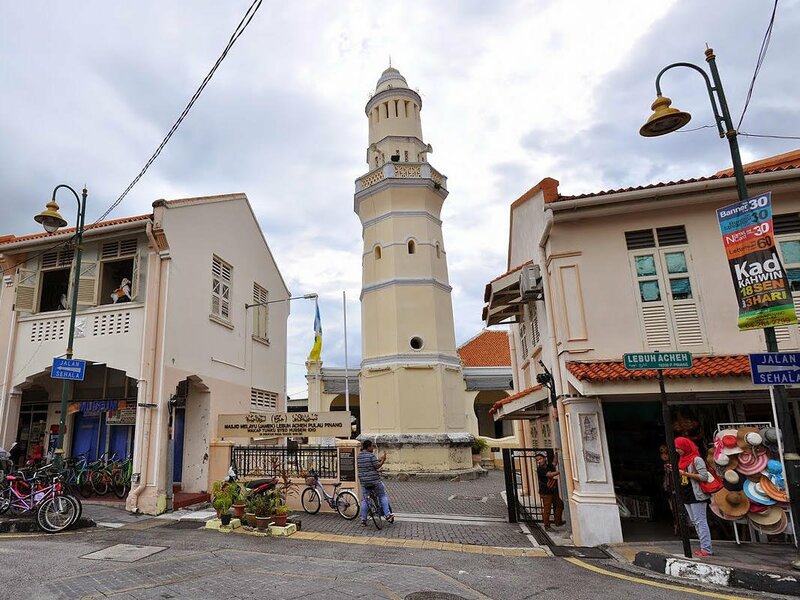 Founded in 1808 by Tengku Syed Hussain Idid, an Acehnese aristocrat of Arab descent who moved to Penang at the invitation of Captain Francis Light, Masjid Melayu Lebuh Acheh is considered as one of the oldest mosques in Penang. 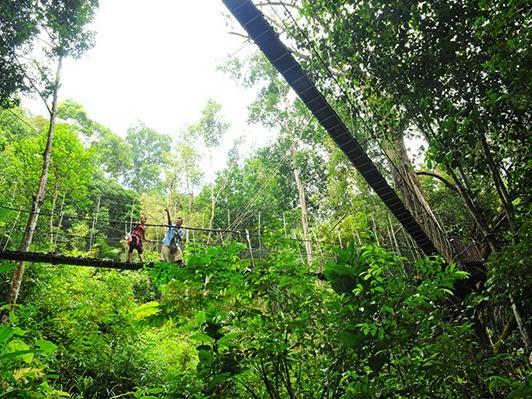 The Penang Botanical Garden (also known as Penang Botanic Gardens) is a public park situated 25 kilometres away from Lexis Suites Penang. The gardens, popularly known as “Waterfall Gardens” by locals due to the cascading waterfall nearby, were established in 1884 from an old quarry site, under the supervision of Charles Curtis, who was the first superintendent. All those who know P. Ramlee very well can agree that he was indeed a true legend. He held the local entertainment flag so high that it brought about a dramatic change in both the Malaysian music and film industry. Due to his great contributions, P. Ramlee is among the few local celebrities who have received prestigious awards in honour of his work. 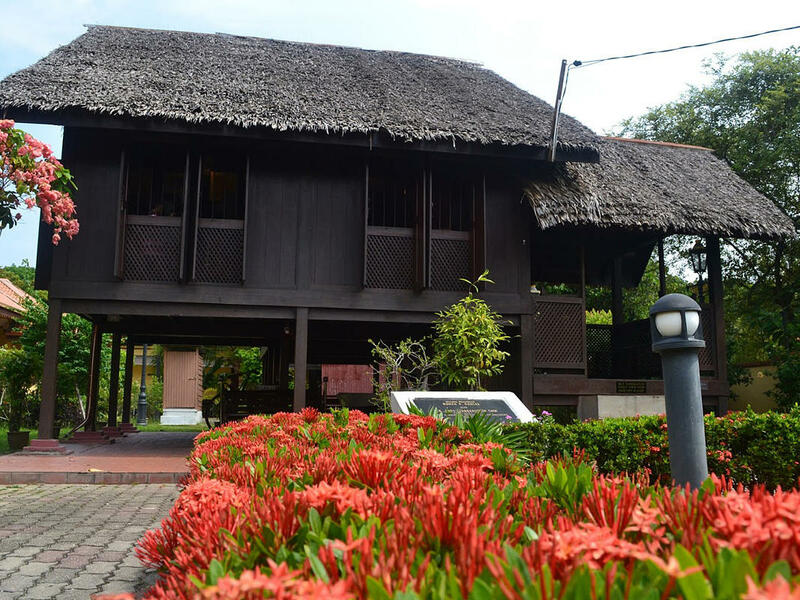 P. Ramlee's house today is, in fact, a museum that commemorates his illustrious career in the Malayan film and music industry. 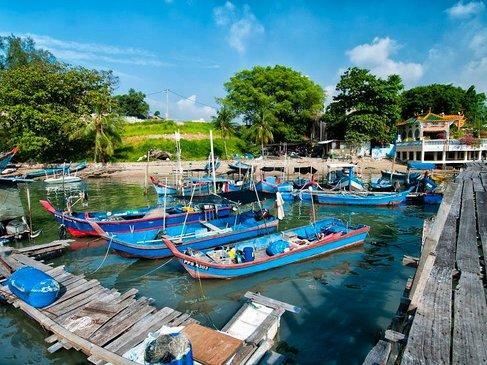 Batu Maung Fishing Village is located approximately 9 kilometres away from Lexis Suites Penang. 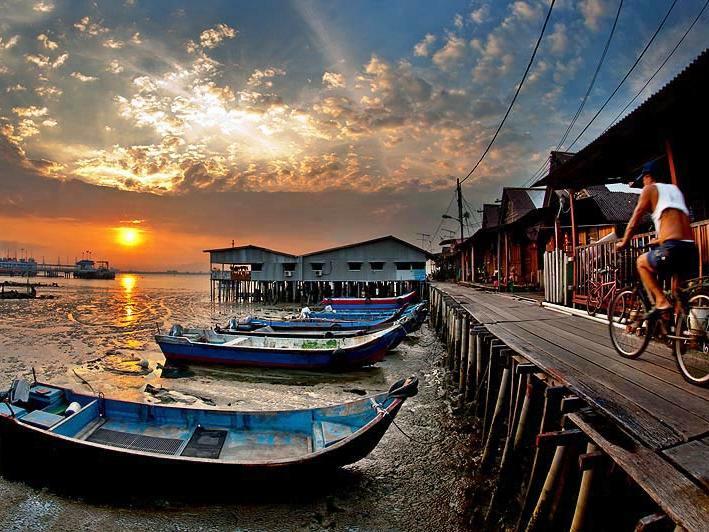 It is a neighbourhood near Bayan Lepas situated in the Southwest Penang Island District, Penang, Malaysia and it consists of several smaller fishing villages known as Kampung Seronok, Kampung Binjai, Permatang Damar Laut, Kampung Batu Maung, Kampung Teluk Tempoyak and Kampung Jalan Baru. 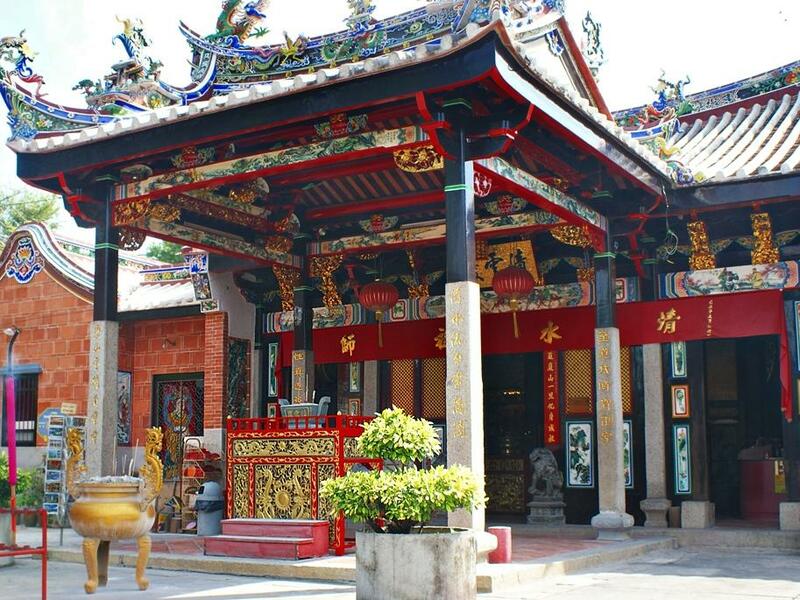 Situated approximately 21 kilometres away from Lexis Suites Penang, Khoo Kongsi Penang is also known as Leong San Tong Khoo Kongsi or Khoo Kongsi Temple, it is a large Chinese clan house built more than 100 years ago by the early Khoo clansmen. 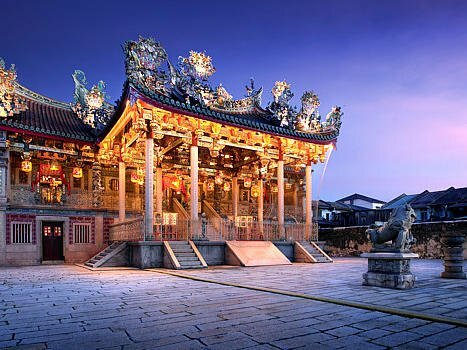 Heavily decorated with elaborated and detailed architecture, the Khoo Kongsi Penang is one of Penang’s major historic attractions and it is also the grandest clan temple in the country. Gurney Plaza Penang is located at the Gurney Drive promenade in the heart of Penang’s capital city-- George Town, and 25 kilometres away from Lexis Suites Penang. 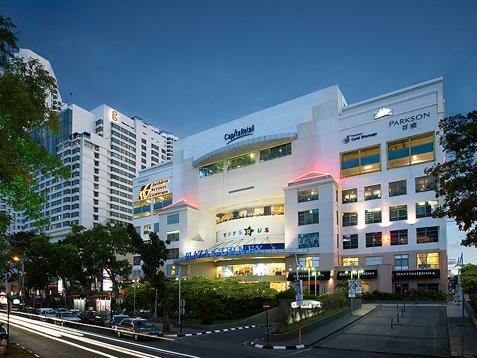 Gurney Plaza is a premier lifestyle shopping mall popular among the locals and foreigners alike. Opened in 2001, Gurney Plaza Penang is a nine-storey mall that houses over 380 stores with various well-known brands for shopping, dining and entertainment such as Marks & Spencer, Rolex, Swarovski, Fossil, Parkson, McDonald’s, Yoshinoya, Golden Screen Cinemas and many more. Situated 22 kilometres away from Lexis Suites Penang, the City Hall Esplanade, Penang also known as the Penang City Hall or Dewan Bandaraya is a local government headquarter in George Town, Penang, Malaysia. The Penang City Hall houses the head office of the Penang City Council and it is located at Esplanade Road which overlooks the historic parade ground. 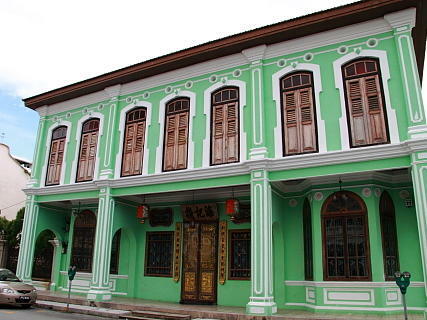 A museum dedicated to Penang’s Peranakan heritage, the Pinang Peranakan Mansion is situated in George Town, Penang, and it is approximately 35 minutes’ drive away from Lexis Suites Penang. 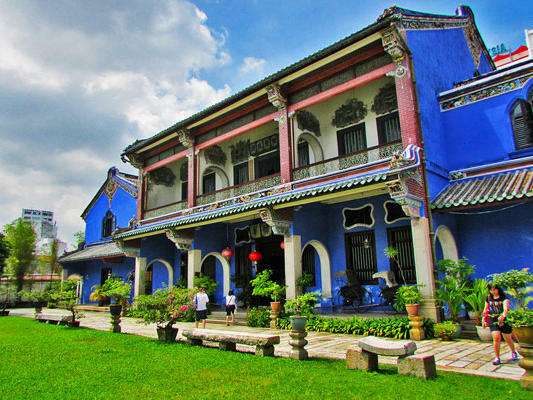 Throughout the years, the Pinang Peranakan Mansion has also been known by several similar names such as Penang Peranakan Mansion and Pinang Peranakan Museum. 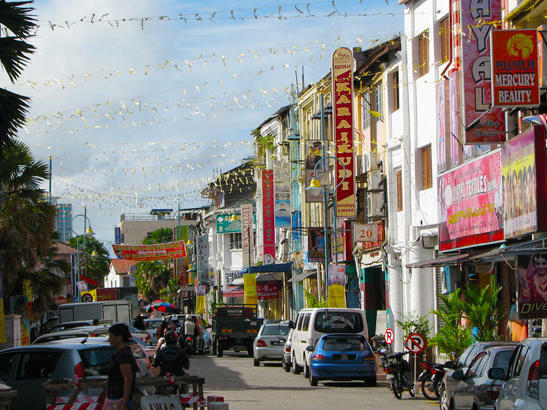 Out of all the tourist attractions that Penang has to offer, the most popular tourist destinations, Queen Street and Little India would surely steal your heart. These two attractions not only offer a rich intercultural experience, but also beautiful historical sites, relaxing beaches, shopping outlets, and enormous mountain ranges. Whatever you seek, Penang has it and more! 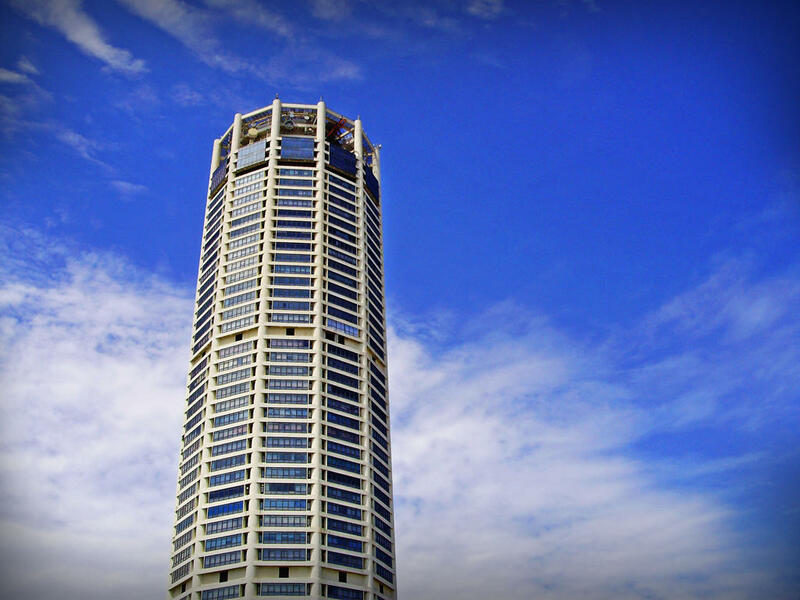 Complex Tunku Abdul Rahman or Komtar Tower, Penang’s tallest structure, is one of today’s favourite tourist spots in the historical, world heritage site of Penang. Komtar Penang is located at 1 Jalan Penang, George Town, Penang. This cylindrical, 68-storey tower is George Town’s most prominent landmark and is hailed as the sixth tallest building in Malaysia. The Penang Museum and Art Gallery is located approximately 23 kilometres away from Lexis Suites Penang. 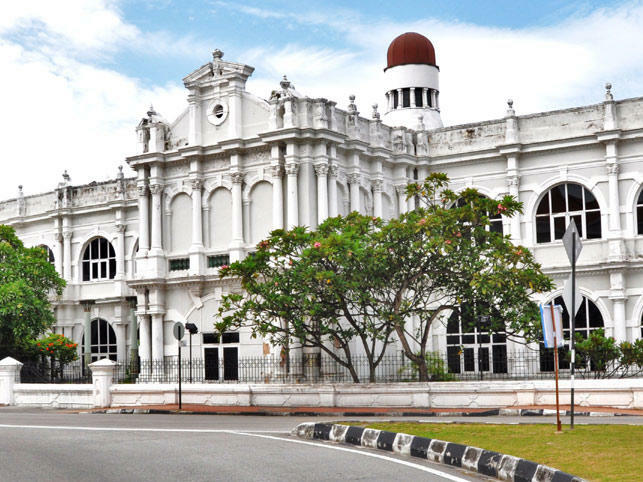 Also known as the Penang State Museum and Art Gallery or Muzium dan Galeri Seni Negeri Pulau Pinang, it is a museum and art gallery set on the junction of Lebuh Farquhar and Lebuh Light in George Town, Penang. 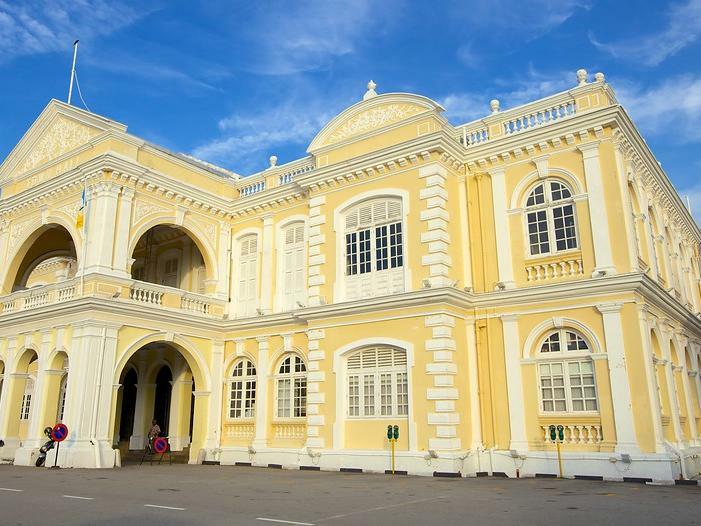 The Penang Museum and Art Gallery was established to fulfil the interest of the locals as well as visitors in the history, cultures and art of the state of Penang, while at the same time educate the younger generations. 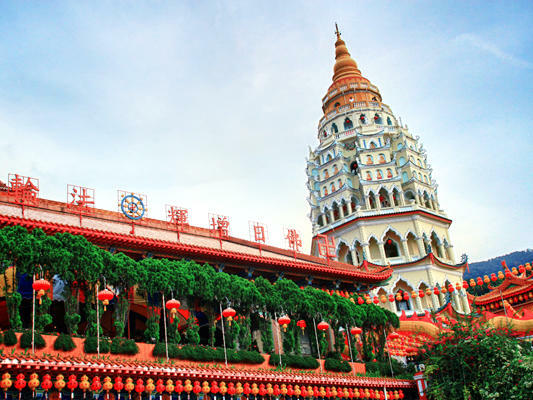 Located 35 minutes’ drive by car from Lexis Suites Penang, Sri Mahamariamman Temple is situated in Queen Street, George Town and it is the oldest Hindu temple in Penang, Malaysia. 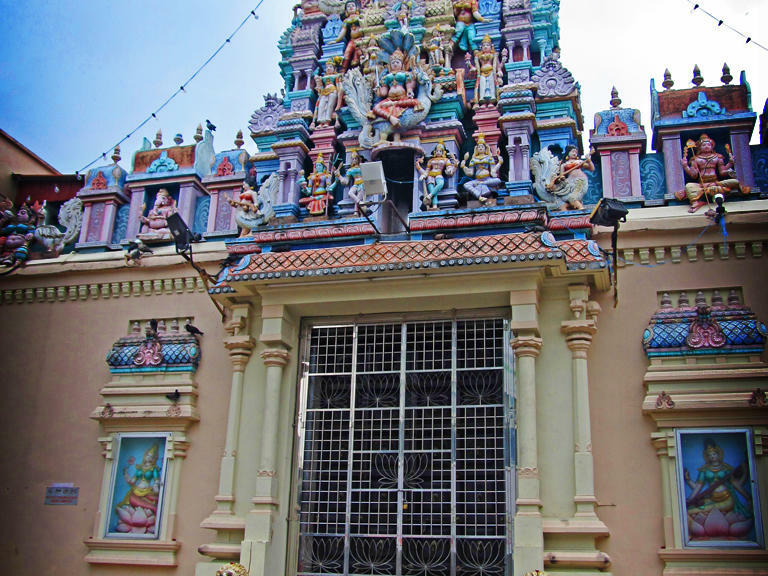 Built in 1833, the Arulmigu Sri Mahamariamman Temple Penang features sculptures of gods and goddesses all over its main entrance and façade. 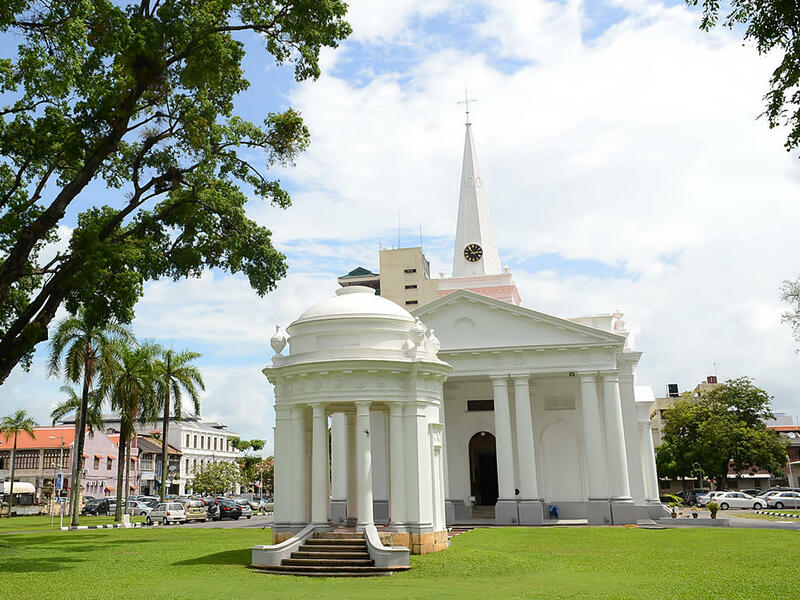 Declared as one of Malaysia’s 50 National Treasures and a National Heritage by the Malaysian Government, St. George’s Church Penang is a 19th century Anglican church situated 34 minutes’ drive away from Lexis Suites Penang. It’s located at the corner of Farquhar Street and Jalan Masjid Kapitan Keling in the city of George Town in Penang, Malaysia. Situated 22 kilometres away from Lexis Suites Penang, Fort Cornwallis is a star shaped fort in George Town, Penang, Malaysia. 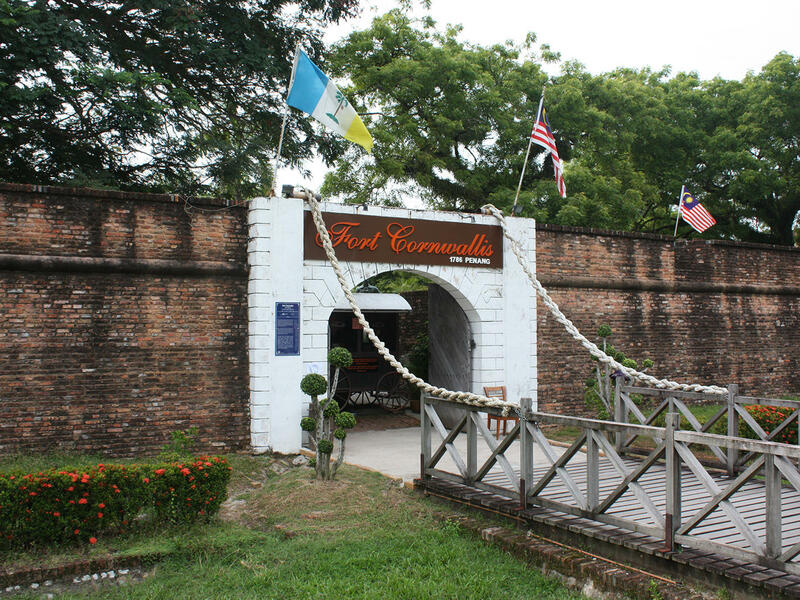 Known as the largest standing fort in Malaysia, Fort Cornwallis was named after the then Governor-General of Bengal, Marquis Charles Cornwallis. Approximately 10 feet high, Fort Cornwallis, Penang or Fort Cornwallis Pulau Pinang is located close to the Esplanade, next to the Victoria Memorial Clock.